Soon after the introduction of Guilietta nameplate the Alfa people released Guilietta Sprint somewhere in late 1954. 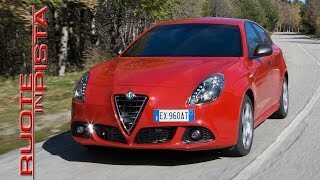 The model no doubts was a treat and seem this is only why upon its 60th anniversary company introduced all new Alfa Romeo Giulietta Sprint 2015. This might be step to take support of legacy to overcome obstacles or in its struggling days Ford and Volkswagen are giving a tough competition to company, this is the only way they found out to survive. However we believe that the Guillietta Sprint because of its glorious history deserves a look and being loyal the name itself is dragging us to self. 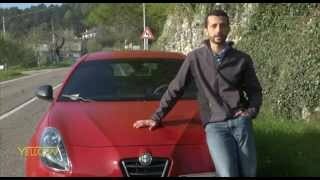 Let’s have a closer look at the model and see what Alfa Romeo has to offer with this release. The interior of Alfa Romeo Guilietta Sprint 2015 comes with black sports trim packed with extra features. Fabric and Alcantara are wrapped together with red stitching making the entire bolstered seats. To give the bolstered seats a final touch ‘Sprint’ has been embossed in red upon headrests. Steering wheel is covered with leather and stitched in red while the dashboard adds to ambience with the carbon-colored finish. Black with contrast of red stitching might be an attempt to give the interior sportier look. 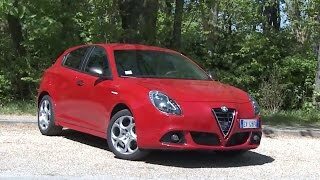 However this isn’t the end, Alfa Romeo Guilietta Sprint 2015 with its brings features like, standard cruise control and Alfa’s all newly innovated Uconnect multimedia system with an option between a five or a 6.5 inch touchscreen. List of features doesn’t stops here, the legacy continues with additional features like a 3D bird’s eye view maps supportive navigation system and a progressive route guidance to assist the driver over long and unknown boulevards. The model also features a “One Step Voice Entry Destination” function with voice commands. 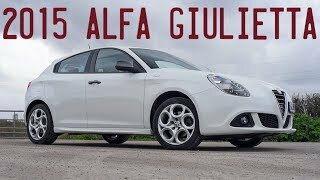 The exterior of Alfa Romeo Guilietta Sprint 2015 though doesn’t carry much of additional features, but it has enough in its bag to make it distinct from regular Guilietta. First to notice are the front fenders with ‘Sprint’ badges on them, portraying company’s intention just like the way they did in interiors. At the rear major changes could be noticed, like the ones incorporated in bumper in form of diffuser like apron with four fins and over massive chrome exhaust pipes giving the hatchback a sporty look. The standard Alfa Romeo Guilietta Sprint 2015 comes with 17” alloy wheels however the company gives its buyers an option to switch for 18” wheels, if they feel to add more of sportier blend with the large rollers. The Alfa Romeo Guilietta Sprint 2015 comes with a 1.4 MultiAir Turbo Petrol engine producing 150 hp and 250 nm torque mated to six speed manual transmission. Thus taking the model to a top speed of 130 mph and dashing the 0-62 mph sprint in 8.2 seconds. Company also took good care of the nature with CO2 emissions being 129 g/km.